All Amul Ice Cream plants are ISO 9000-HACCP certified. Amul is in the process of getting ISO 22000 (Improved version) certification for all its plants. 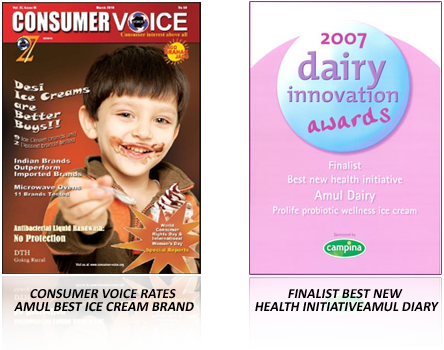 Amul is ranked No.1 ice cream in quality by “INSIGHT” (May-June, 2002), a bimonthly consumer magazine published by Consumer Research and Education Society (CERS) based at Ahmedabad.